On Monday 23 of May, 10 young student bartenders and 30 professional and skillful cocktail makers were competing for the 5th Galvin Cup trophy. If you think you don’t like vermouth, you’re wrong. It’s understandable. Like most Anlo/american folks, you’ve probably just been drinking it incorrectly for, like, ever. 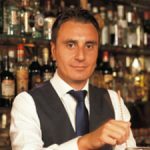 I`m delighted to tell you that MARTINI has done extremely well in the Drinks International Cocktail Challenge. Gin or not Gin ? Gerry Calabrese unveiled the finished version of Hoxton Gin. The unusual spirit got the drinks business wondering whether the product should actually be classed as a “gin” at all.